When I think of a characterization of anger my mind goes to Looney Tunes – love it! – and the coyote’s head about to explode after the road runner outwits him once again. Ever feel that way as a parent? Yes, I see that hand. God knows I need His help in this. Every. Single. Day. Thanks to so many of you that have confessed that this is your struggle too. Don’t you agree that bringing it out into the Light defeats the darkness and allows God’s truth to be transforming? So let’s just call for what it is, open ourselves up to His redemption and healing, and then watch Him work as only He can do. 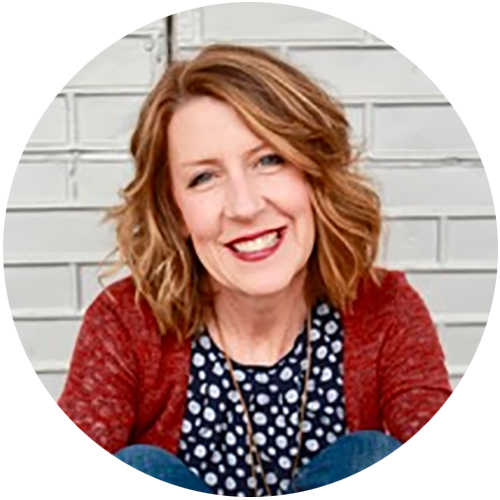 In case you’re just joining us for our Angry Mom series, I’ve talked about the startling question God had for me a few years ago on the topic of anger (check it out). We’ve also looked at the physical effects anger can have in our lives (right here). Today, we’re gonna cut right to the chase, because here’s the reality: our sweet and amazing children, no matter what their age, are going to do life different than us. Right? Whether they’re 2 or 22, they are designed and wired in a way that’s completely unique to them. And try as we may to be Wonder Woman and train them up in the way that they should go, there will absolutely be moments when they will push back/ignore/be flat out disobedient. When that happens, how do we respond? How do we keep our super-strength, when we’re actually tempted to lose it? 1. Know the rules and penalties, and make sure your kids know them too. Our children want to know how far they can push the envelope before it rips open. Define that for them. Sit down first with your husband (if you’re married) and determine the ground rules. (Being on the same page with your husband is critical here, otherwise the kids will try to divide and conquer.) Then let the kids know you are united, and lay out the rules and the penalties. Here’s an example: “When we go into the restaurant, here’s how we’ll act. If you choose to act differently, here’s what will happen,” or “Here’s your curfew. This is what will happen if you miss it.” When everyone understands the expectations and consequences, it allows everyone to start on the same page. 2. Discipline sooner. When said rules and expectations have been crossed, do what you said you would do. Sooner, rather than later. Anyone familiar with this series: “stop… stop… Stop… STOP!” Me too. But when I discipline sooner, it take the emotion out – “Bummer that you chose that. Well, here’s what we said would happen.” Do what you say you’re going to do as soon as it happens. 3. Ask yourself this question: Are they being disobedient, or are they just being little people with big imaginations? This is taken from Dr. Dobson’s Bringing Up Boys – it’s such a great question. Imagination is a God-given gift that our kids use (really) well. We are wise moms to stop and ask for discernment when we walk into a crazy mess our child just made and ask: imagination or disobedience? 4. Listen to your child’s heart – what are they really trying to communicate? Are they tired, hungry, or overwhelmed? At times I’ve put unfair expectations on my kids, expecting them to respond to situations as if they were an adult. When in reality they may just need a break, or something to eat. Maybe they can’t communicate as quickly as I can and need space to process. When I work to hear my child’s heart, I’m more apt to listen out of compassion. 5. Kneel down to their eye level when you’re talking to them. If you have younger children, this is powerful. I’d probably freak out too if a tall giant was towering over me in anger. When I get down to their level, it softens me and allows me to see them just as they are: little. Yes, they can still argue with me like they’re 18, but in reality they are really just little. 6. Focus on the children who are making good choices. This one has been gold in our house. When my husband and I call out the good choices in the other kids, it makes that other one want to grab for some of that good attention as well. Give kudos for good choices, see #2 for bad. 7. Have an age-appropriate reward system. Pinterest saved my summer last year with this idea for my elementary age kids. I bought a small mason jar and some glass marbles, then picked a character trait each week to focus on (my top three traits were the ones I felt they needed “help” with). Every time I caught them “doing” the character trait, they got a marble. When they filled their jar, they got a date with mom or dad. Find a simple system that works for you (Pinterest is awesome! ), reward them for the good, and praise them when they succeed. 8. Put yourself in time out. I had to do this just yesterday. Get yourself out of the situation to cool off and gain some perspective. And yes, they may follow you, but just lock yourself in the bathroom, and take. a. moment. 9. Have someone you can call or text in times of need/panic. As a woman, one of the biggest lies we believe is this: I am the only person on the planet who can’t figure this out. Sisters, this is a lie from hell itself that’s meant to keep us in shame and isolation. We need others. For me, my husband is a pro at talking me off the ledge. Yet sometimes I need a fellow mom to listen to me when the crazy train hits my house. Whether it’s your husband or a friend, find someone you can trust, who gets the insanity, and will encourage and pray for you. Again, we need each other. So there’s my 10 – totally lengthy, thanks for hanging in there with me. I wish I could sit across from you at a coffee shop and hear your own ideas, strategies that have worked for you. We’d all love to hear them, feel free to share them below! I’ll wrap it up today with a re-visit to #10 on the list. Pray. One of my favorite ways to pray is with God’s Word. God’s Word is alive and powerful and has literally transformed me from the inside out (Hebrews 4:12). I love to take a portion of scripture and personalize it, by putting in my name or the names of my family members and praying it over them. This section (below) from Colossians is powerful. Take my personalized version, steal it, call it your own. Then pray it with all your heart. You are well on your way to becoming the woman – and the mom – that God created you to be. Pray it… then watch Him move. Because He will. Not only in your life, but in the life of family. Much love and grace to you today, my fellow mom in the trenches, you are amazing! What strategies have worked to diffuse your anger in parenting? We’d love to hear from you! P.S. – I just read a great blog from LisaJo Baker on this very subject – check it out! I could just reach through the iPad and hug you for this post this am!! Feels like such a challenging and beautiful season of my life and you have been such a light of encouragement and understanding for me! My first one goes with #1. When one of my kids is involved in a game, show, play area… any of those, I give them a warning to when we are leaving, or changing to the next activity. 5 to 10 minutes is so helpful to them, so they can wrap they brain around the change that’s about to occur. They also know of the consequence if the warning is argued about any time. My next one started after my husband and I were having to deal with our son becoming addicted to video games, he was sneaking them and loosing his cool when confronted. First we grounded him from all video games for about 3 months. Then I had him read PlayStation Nation. Then we started charging him game time, he has regular chores that he has to have finished before playing games. Then he has the opportunity to earn game time with additional chores, vacuuming it the van, cleaning the tub, picking up after his siblings, babysitting his siblings, shoveling snow, taking leaves…. etc. Then he is the one the keeps track of his time. Occasionally we notice he maybe”forgetting” his time, which is when we reign him back again with a grounding from the games. This has been so awesome, he wants to do chores, he is becoming responsible and we have very little of the responsibility on us… the money is on his back to make sure he is keeping track of his time and not going over with out permission. It also is used for when he stays up too late… “Son, you were supposed to go to bed… you owe me time now”. We started this in 5th grade, he is in 6th now. Great ideas Jamie! Isn’t it amazing how creative we have to be? So thankful for God’s wisdom to know how to parent each child well. Yes, creativity… comes from the Father… thank God we are not on our own on this journey! Thank you so much for these posts on anger. I think we feel sometimes alone in our feelings, but things can get so out of hand so fast. I see my anger in my kids. They are less patient and are very quick to accuse. I keep this in mind when I get angry. Blowing up shows them how they are supposed to respond, not very Christ like. Every time I feel like I am loosing it, I remember that I am trying to teach them the right way to respond. I remember who is watching. When it gets really bad, I walk away or focus in on the Christian music I always have on in our kitchen. God usually has a very appropriate son playing for me. Love your honesty Darcey. We do feel alone, like we’re the only ones in this. Keep pressing into Him, specifically and intentionally. God is there, always…so awesome isn’t it when that song comes on at “just the right time”! 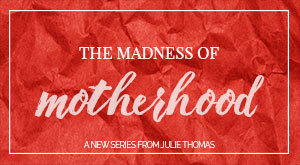 This series has truly ministered to me. I prayed for years for a little one, and through unconventional methods, I am raising my stepson’s baby. I love him so much, yet I find myself SO frustrated and angry most days. I have an unrealistic expectation in my mind of how he should be, how I should be, and let’s face it–how life should be. I’m so thankful to serve a God who dishes out unconditional love, grace and mercy. Thank you for your honesty in this series. It has given me a renewed strength, and simply knowing I am not alone in this journey of motherhood. I never want to take for granted what He has so graciously given me. God bless you!